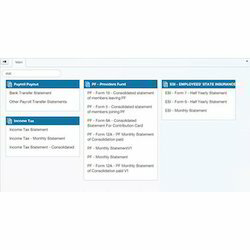 Offering you a complete choice of products which include Easy Payroll Management such as Payroll Processing, Salary Slips Payroll Services, Statutory Compliance, Income Tax (TDS) Management, Digital Signatures Payroll Software, Loans / Arrears / Reimbursements Payroll and many more items. 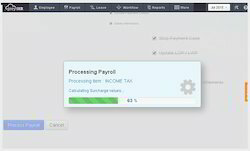 The Advance Payments Payroll Software keeps a track of the actual expenses and adjusts against advances. Our services are widely valued in the market due to its advance features, easy maintenance and user friendly operations. 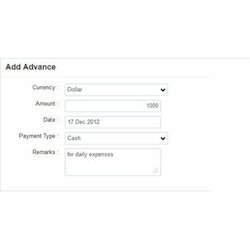 Apart from this, this payroll software is designed using the advance technology in accordance with the set universal norms. In addition to this, the software offered by us is available at the most reasonable price range. 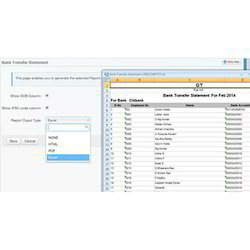 Eliminate time consuming data entry chores with dozens of Excel importers for virtually any type of employee information. greytHR mass imports all the excel data directly into the software. 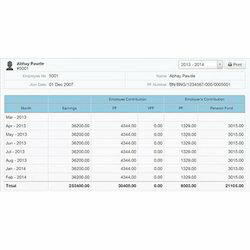 It eases your work and ensures an error free transition of data from various spreadsheets into the software database directly. 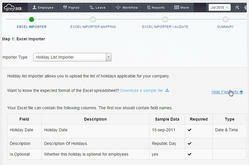 With rich domain knowledge, we are involved in providing Export Options Payroll Software. 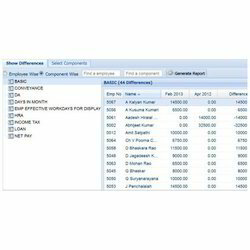 This software has Facility to export all reports to PDF, Excel or Microsoft Word. Our customers can avail his payroll software service as per their requirements and at highly competent prices. In addition, this software is made with proper planning and design so that customers do not go unsatisfied. greytHR IT Saving and Declaration feature combines the accuracy of an IT calculator with the convenience of online declaration. It’s smart enough to take into account your actual salary and improve your tax savings through optional investments. 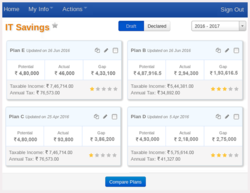 You then have the ability to do a comparative analysis of your shortlisted plans, tweak them and finally select the one that works best for you based on your savings potential. 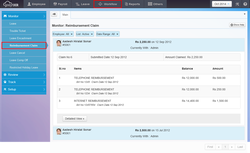 A complete salary software needs to handle all requirements including salary advances, loans and automatic EMI deductions, arrears, reimbursements, bonus and so on. 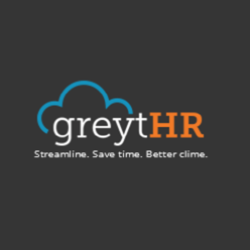 greytHR does so with minimum fuss and maximum effectiveness. We are the recognized as a well-known service provider of Online, On Demand Access Payroll Software. 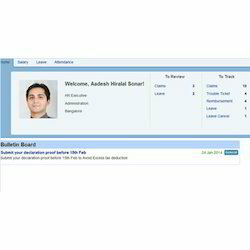 The employees can simply access all information related to company policies, payouts, income tax, etc. They can view their pay slips, PF, total earnings statements, and YTD statements. Furthermore, they can also see the details related to loans like balance payable, installments paid, etc. can also be viewed without having to wait for HR revert. greytHR makes it easy to keep track of the reporting relationships. This is quite useful for workflow reviews and approvals. 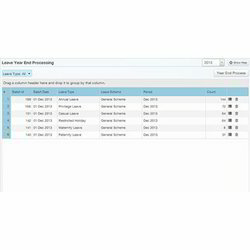 A complete history of previous reporting assignments is also available. 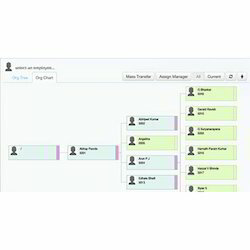 The organization chart (organogram) is automatically prepared and let's you graphically visualize the organization structure and span of control. Very useful stuff without any effort from your end. 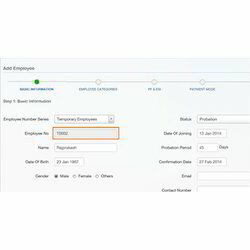 greytHR accurately computes salary for all employees including Statutory Deductions (PF/PT/ESI/TDS), loan deductions, stop payments, revisions, loss of pay, pro-rata salary, Income Tax computation and more in a single click. 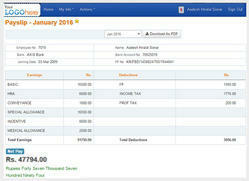 Our company is counted among the well-known service provider Year End Processing Payroll Software. With the easy functionality and tools, this software process the lapsing leaves, carry-forward, auto-encashment, etc. With this software you can have tension free transition to the next year. 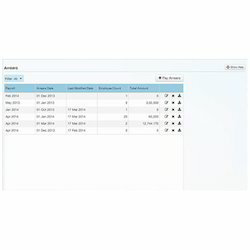 Looking for Easy Payroll Management ?